Two months ago, after discovering that the owner of "ModernWarfare3.com" was first using the site to spew some fanboy hate about the game, and then redirect visitors to Battlefield 3's official site, Activision moved to seize the domain. Yesterday, it won. Domain watchdog Fusible reports that the National Arbitration Forum ordered the name transferred from Anthony Abraham to Activision. The publisher was required to prove modernwarfare3.com was identical to, or similar enough to cause confusion with, one of its trademarks; that the domain name was registered and used in bad faith, and that Abraham had no rights or legitimate interests with respect to the doman. 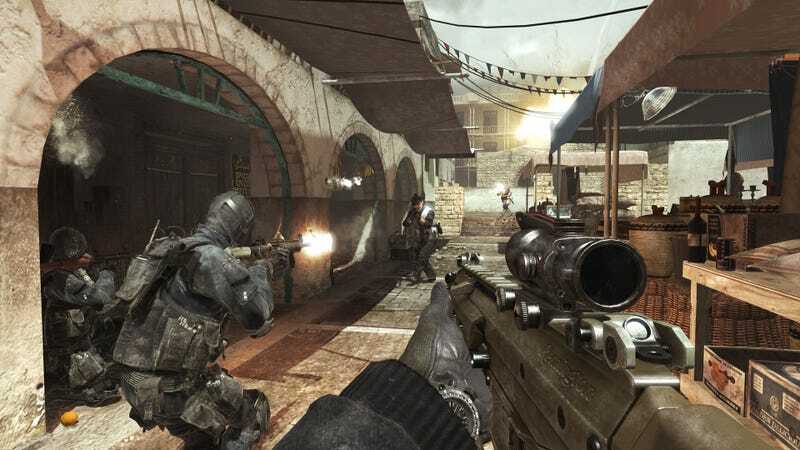 The NAF found Activision proved all three, which is the standard under the Internet Corporation for Assigned Names and Numbers (ICANN) policy for settling such disputes. Abraham, for his part, argued that "modern warfare" is a generic term in this case. Abraham's stunt gained notoriety in July when the redirect was noticed, and some wondered if Electronic Arts had acquired the domain in a stunt. EA quickly denied any involvement. Abraham was later identified as the domain owner when Activision complained to GoDaddy, the service Abraham used to register the domain, and GoDaddy made the registry information public, a common move when there is a legal complaint regarding a registration.